Remember when we used to buy paper copies of recipes instead of looking them up online? 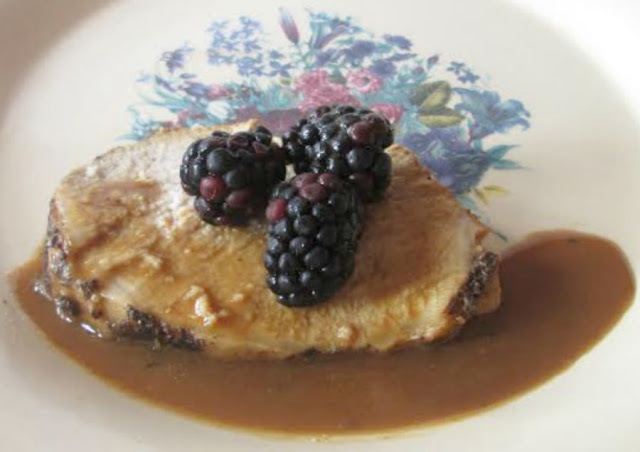 This blackberry pork chops recipe was originally published in an edition of, "Cooking Light." We made it and it tasted so amazing, but it called for 1 3/4 cup of fresh blackberries, which are often out of season or very costly. Our version of the blackberry pork tenderloin recipe replaces the fresh blackberries with blackberry all-fruit spread and the pork chops with pork tenderloins. Of course, a garnish of fresh blackberries, if you can find them, makes a pretty plate. For a beautiful Christmas brunch, serve it along side blackberry cobbler. Enjoy! *Note: This recipe is best if you allow the meat to marinate for 2 hours prior to cooking. Directions: Combine 1/2 t. thyme with the next five ingredients. Mix well. Trim fat from pork. Rub pork with thyme mixture. Place in a shallow dish, cover, and chill 2 hours. Prepare blackberry mustard. Mix all ingredients in a small bowl. Store in the refrigerator until needed. Coat a large nonstick skillet with cooking spray. Add oil. Heat at medium-high until hot. Add pork. Cook, rotating meat, until all sides are browned. Add 1/4 c. broth and balsamic to the skillet.Bring to a boil. Cover, reduce heat, and simmer until a meat thermometer reaches 160 degrees F, approx. 25-30 minutes. Check skillet after 15-20 minutes and add a little chicken broth or water if the skillet is becoming dry. Remove pork from skillet and keep warm. Add remaining 1 C. broth and brown sugar to the skillet. Bring to a boil and cook until liquid is reduced to 1/2 c., approx. 5 minutes. Strain mixture to remove solids. Mix cornstarch and water and add to a small saucepan. Whisk in the 1/2 c. strained mixture and 1/4 c. blackberry mustard. Bring to a boil and cook, stirring constantly, for one minute. Remove from heat and add remaining 1/4 t. thyme. Slice pork. 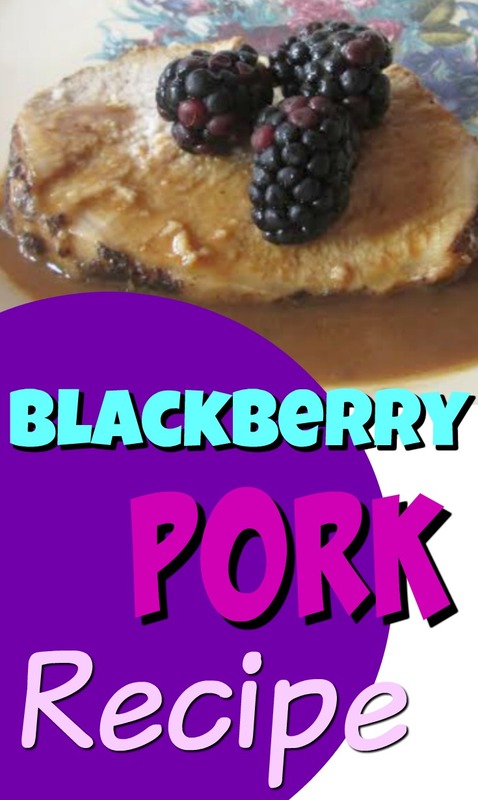 Spoon sauce onto pork. Garnish with fresh blackberries, if desired.